Love Locks & Fountain of Love! Dates: The Full Month of February! 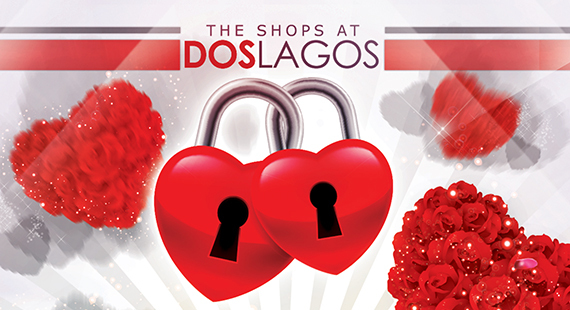 FIND OUR HIDDEN HEART FENCE AT THE SHOPS AT DOS LAGOS WITH YOUR PARTNER AND MAKE A LOVE BOND! LIMITED TIME!! Bring your own custom padlock! 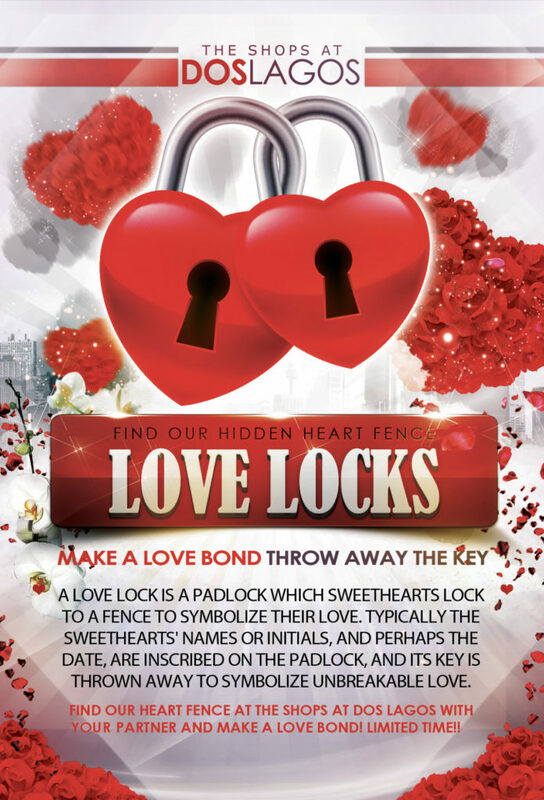 A love lock is a padlock which sweethearts lock to a fence to symbolize their love. Typically the sweethearts’ names or initials, and perhaps the date, are inscribed on the padlock, and its key is thrown away to symbolize unbreakable love! 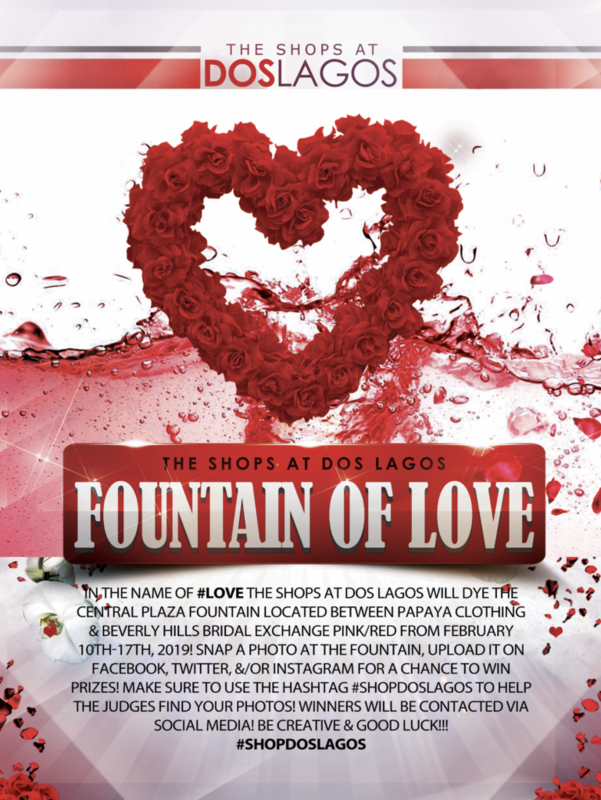 In the name of #LOVE The Shops at Dos Lagos will dye the central plaza fountain located between Papaya Clothing & Beverly Hills Bridal Exchange pink/red from February 10th-17th, 2019! Snap a photo at the fountain, upload it on facebook, twitter, &/or instagram for a chance to win prizes! Make sure to use the hashtag #shopdoslagos to help the judges find your photos! winners will be contacted via social media! Be creative & good luck!! !